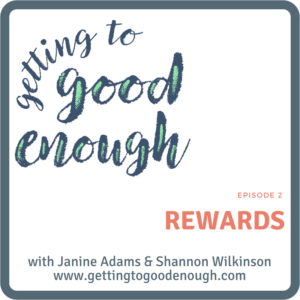 Janine and Shannon discuss the how helpful it is to reward yourself for progress (as opposed to success). When you reward accomplishing steps along the way to achieving your goal, you keep yourself motivated. 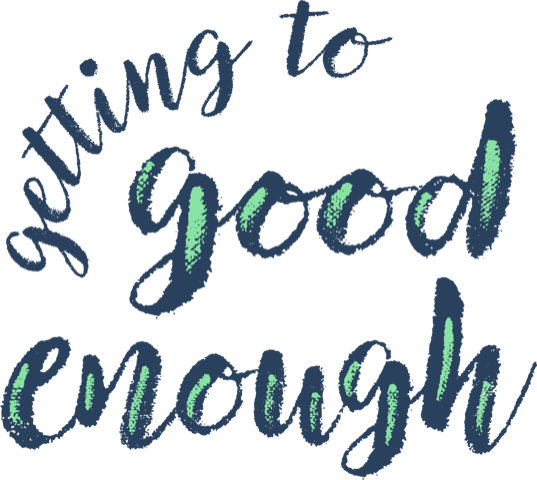 Rewarding yourself will help you do more in the long run. • Why we don’t have to suffer to succeed. I just listened to the first two episodes and I’m really enjoying listening to both of you. I just got a new vanity so I’m spending the evening reorganizing my makeup, travel make up etc. Now I think I need to reward myself! I laughed out loud with the lawn service, Janine, and their timing….your podcast is very real. Keep up the good work. I’m looking forward to future conversations. Thank you so much, Vickie! I’m glad the background lawn mowing was funny, not annoying. And, yes, reward yourself for reorganizing all that fun vanity stuff! I started laughing at the end of the Rewards segment when Janine said that she had a bunch of rewards written on little slips of paper in a jar. When I was in the hospital, my caregiver gave me a list of over 150 small rewards/self-care/coping skills/whatever. I brought it home, typed it up, and printed them out on cardstock. A half-hour at Kinko’s with their paper cutter, and I had dozens of things to reward myself with. I just have them in a Ziploc bag, so as soon as I finish up a jam jar (love those peach preserves! ), I’ll wash it out and have a little Rewards Jar to sit on my counter. I usually draw one the night before so that I can look forward to it. For me, anticipation is key to enjoyment. Plus, if I need to prepare or buy anything, I’ll have time to get ready.